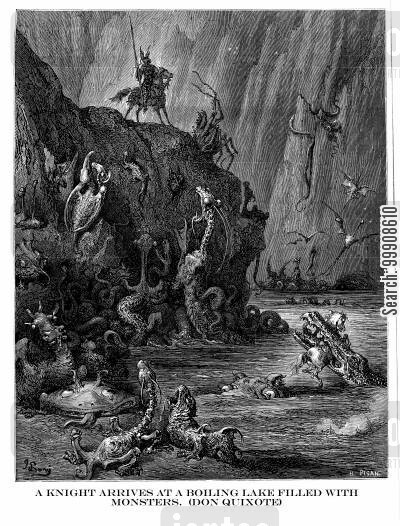 A Knight Arrives at a Boiling Lake Filled with Monsters (Don Quixote). 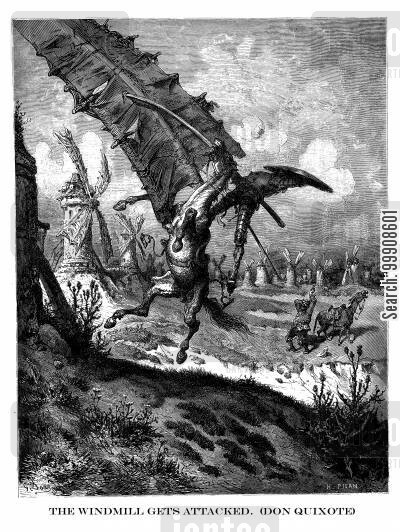 The Windmill Gets Attacked (Don Quixote). 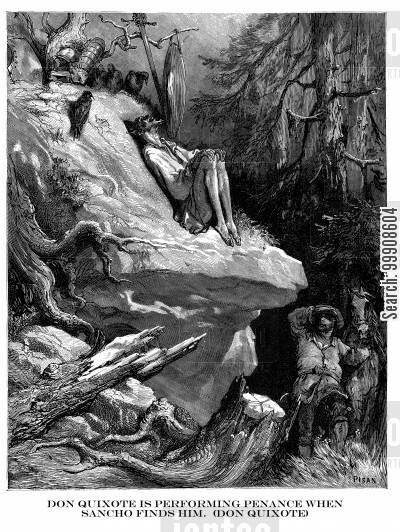 Don Quixote is Performing Penance When Sancho Finds Him. 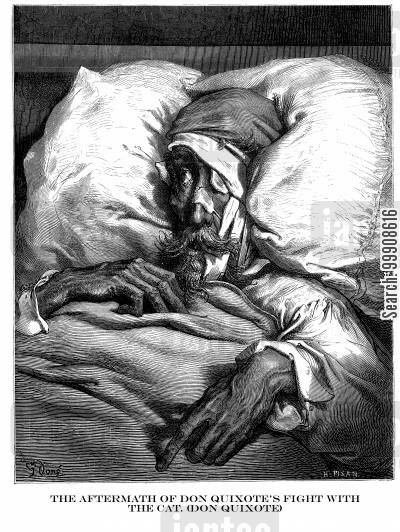 The Aftermath of Don Quixote's Fight With the Cat (Don Quixote). 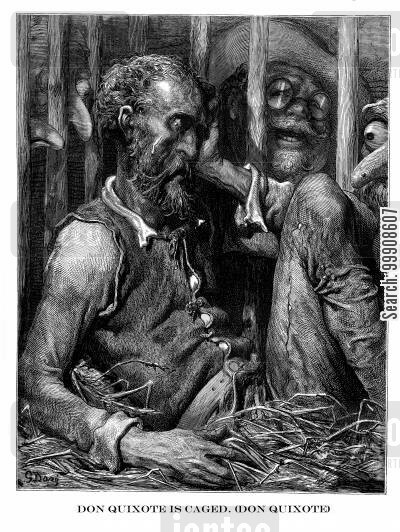 Don Quixote is Caged (Don Quixote).